A different kind of search calls for an updated strategy, writes Hailee Sosnowski of marketing agency BKV. Editor's note: The following is a guest post from Hailee Sosnowski, a Paid Search Planner at marketing agency BKV. It’s getting real in the world of voice search. It may have taken a few years for the novelty of Siri to wear off and for people to really figure out how to use voice search, but Samsung’s launch of Bixby will rapidly put voice search capabilities into the hands of millions of more consumers. Couple that with Alexa and Cortana and it’s easy to see that we are accelerating quickly toward a Jetsons or Star Trek world where getting something is as easy as verbally asking your computer for it. Hailee Sosnowski is a Paid Search Planner at marketing agency BKV. Of course, like every other technological advance, a lot has to happen behind the scenes before that happens and there will be clear winners and losers. But make no mistake that the change is already well underway. 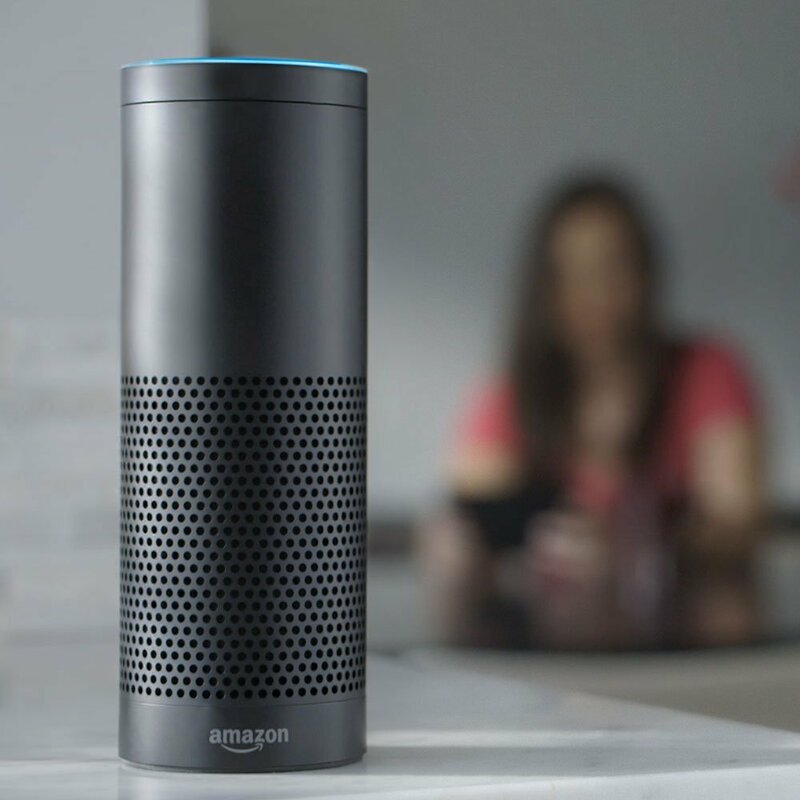 ComScore estimates that half of all internet searches will be conducted by voice within three years and Tractica predicts that 1.8 billion people will use digital assistants by 2021. These numbers are generalized — the implications could be even larger for shopping behaviors and the impact on retailers swift. People search differently verbally than they do when using a keyboard. A traditional search for women's tennis shoes online might only involve the keywords "women's tennis shoes," whereas a voice search is more likely to be a full sentence along the lines of, "where can I find a pair of women's tennis shoes suitable for jogging under $100 near me?" Understanding this difference is key for retailers as they hone in on the long-tail phrases that lead to sales instead of worrying about an endless stream of variations on a few keywords that competitors are also vying for. Every phrase that you anticipate converting consumers will also need a highly specific landing page that shows the search query was understood and processed. If the above search example sends the consumer to a pair of shoes that cost $250, shoes made for walking, or merchandise in Kansas City when she is in Seattle, you can consider her as good as lost forever. Accuracy is vital when it comes to search engine marketing on voice search. Consumers are less likely to search through results after conducting a voice search and in the case of screenless devices like Amazon’s Echo, only the first result is read. Gartner predicts that 30% of all internet searching is going to take place on screenless devices by 2020 — that’s hundreds of millions of searches where there is no prize for second place. In the world of voice search, appearing on the first page of search results or even in the top three isn’t enough — you’ve got to be first. Getting there is directly related to your ability to predict the voice search terms most likely to lead consumers to you. Headlines about retailers shutting down their physical stores paints a pretty doom and gloom picture of the future of brick-and-mortar retail, but consider that almost half of all voice searches conducted from mobile devices include the phrase "near me." Those consumers are not looking for a retailer that will pack up an item, ship it to them and have it on their doorstep in two days — they are looking for a place where they can buy an item right now. Tapping into consumer searches that are conducted close to every brick-and-mortar location provides new opportunity for retailers to capture the immediate gratification of consumers that are already mobile. For consumers at home in their pajamas or at work using computers, ordering online and waiting a day or two for an item to arrive may seem like the most convenient option. But think about mobile search. For a consumer that is already out and about, taking a five minute detour to a nearby store may be preferable. Reaching those consumers effectively will be key to preserving, and even increasing, brick-and-mortar sales moving forward. There are infinite ways to ask the same question, so how do you know which phrases to target when building a search engine strategy around voice search? The first thing is to ask yourself what types of questions are most likely to lead to a sale. In the shoe example, the question that begins with "where can I find" is an excellent one to target because the consumer is actively looking for a product. Chasing after a question like, "are tennis shoes under $100 any good?" will not lead to as many conversions because consumers that ask that question are not ready to buy yet. Once you have identified the types of questions most likely to lead to a sale, dive right in and do some test searches to stratify what is already returning results for you versus your competitors. Then review search query reports to determine how actual customers are already using voice search. Are there any areas where you need to dedicate the most resources to improve right away, or can you take your time and develop a pliable strategy that can roll out and be adjusted as necessary? The answer to that question will depend on the merchandise you sell and the demographics of your target audience. It’s almost impossible to read an article about a retailer closing stores today without reading some quote from an executive blaming e-commerce and changing customer shopping behaviors. In the next several years, expect to see a shift to retailers that failed to understand the way consumers shop using devices that implement voice search. Those that fail to turn up on Bixby, Google Now, Alexa, Cortana, Siri and whatever new digital assistant comes next will face massive challenges ahead.